but were too shy or too polite to ask. If you would like to ask another question e-mail me. How did you become involved in the CWU? How did you become involved in the IWF? How did you become involved in the consumer world? Does your working life have any kind of narrative? How did you first get into personal computing? How did you first get around to starting a web site? How did you first get around to starting a blog? Why are you so keen on reading? Why do enjoy the cinema so much? Why are you so interested in Second World War aircraft? Why are you so interested in the Czechs? Why do you like travelling so much? What's this about you and puddings? I was born on 25 June 1948 at the privately-run Rosemary Edam maternity home at 312 Burton Road in Sedgley which is just outside Wolverhampton in the Midlands area of England. The Soviet blockade of Berlin had commenced the previous day and two weeks later the post-war British Labour Government created the National Health Service. In November 1949 when I was 17 months old, my parents moved from the Midlands to Manchester in the north-west of England. I spent the next 22 years there, living in a variety of locations on the south side of the city, including Levenshulme, Withington, Whalley Range, Rusholme and Fallowfield. All my schooling was in Manchester and I went to university there as well, only leaving the city when I was 23. London. I moved down to the capital in the Autumn of 1971 and I’ve lived there ever since – now a total of 30 years. After a couple of rented places in north London, I married and moved to east London – Leyton and Leytonstone – for a decade. 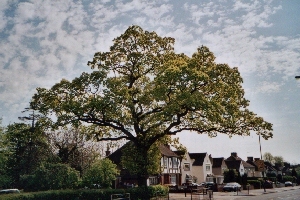 However, for almost two decades now, I’ve lived in Sudbury Hill in north-west London. This is located between Wembley, home of the famous football ground, and Harrow, location of the famous public school for boys. So I was born in the Midlands, brought up in the north and live in the south of England. In fact, I do not think of myself as particularly English - more as European. I've been married twice - once to Carole for eight years and then to Vee for 34 years. I am now divorced and single. I have a son Richard from my first marriage who lived with me until he left home to go to university. He's now in his 40s, married to Emily, with daughters Catrin and Kara. Currently he lives and works in Nairobi, Kenya. I did - but not any more. The British are crazy about cats and dogs, but I was brought up by an Italian mother who was neurotic about pets and passed on the aversion to me. Yet all that changed in the summer of 1996. A local cat called Harriet (we think) used to leave behind two aggressive brothers and two frequently absent owners (they were opera singers who were often on tour) and spend lots of time around my wife Vee as she pottered in the garden. Since at that time we did not know the name of the cat but she was a beautiful light ginger colour, Vee called her Honey and the name stuck. Honey then started to spend time with me as I read newspapers in the living room and she was so friendly and so soft that I was won over. One night, as we were falling asleep, there was a noise from the window ledge and a persistent knocking at the window. It was Honey and the only way for us to obtain any sleep was for us to let her into the bedroom. She joined us on the bed - and she lived with us from then onwards (the original owners moved away a long time ago). 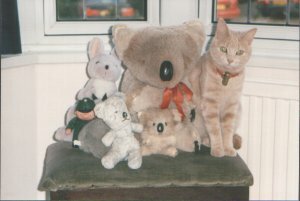 Sadly, in the week running up to Christmas 2011, we had to have her put to sleep and buried her in her favourite flower bed. She had been with us for over 15 years and was just months short of being 20 which is mid 90s in human terms. All my education was in Manchester in the north-west of England. After attending several primary schools, I passed a public examination which all English school children had to take at that time. It was popularly known – although it was a very unpopular examination – as the 11+ because of the age at which it was sat. This enabled me to attend a Roman Catholic direct grant grammar school called the Xaverian College [click here] which was run by a religious order called the Xaverian Brothers. In those days, there were two major sets of public examination, both called the General Certificate of Education or GCE. One normally sat the Ordinary ('O") level at 16 and the Advanced ('A') level at 18. I did really well at 'O' levels, passing eight subjects in one sitting in June 1964 (I passed a ninth a year later), obtaining the Best General Result in the school for that year. However, I did terribly at 'A' level in June 1966, barely passing my chosen subjects of Mathematics, Physics and Chemistry, although doing much better at General Studies for which they were no lectures. The main problem was that I chose the wrong subjects - I should have studied social sciences but, at the time, I thought I was going to become an engineer - but there was also the distraction of being School Captain and forming the first-ever School Council. After a year in industry (where it became very apparent that I was not going to become an engineer), I went to the University of Manchester Institute of Science and Technology (UMIST) [click here] to study Management Sciences. I enjoyed this because the subjects were so varied and it was essentially about people and business. My final year specialist subjects were Organisational Behaviour and Industrial Relations, two topics in which I am still extremely interested. At the end of the course, I managed to obtain a First Class Honours degree and the only other student doing so that year in that subject – my friend Greg Bamber - is now a professor in Australia. In between the second and third year of my degree course, I took a year off to be sabbatical President of the Students’ Union and, in my final year, I started to date Carole who later became my wife - so I had a very full four years at UMIST. Unlike my son (who is now more academically qualified than I am), I never had any interest in doing a further degree, I just couldn’t imagine studying the same narrow subject area for so long. However, I’m a great believer in life-long learning. Therefore I like to think that I’m in a continuous process of education. Every newspaper, magazine or book that I read, every television programme or film that I see, every conference or seminar that I attend, every country that I visit, every discussion that I have teaches me something. As a child, I was baptised first as a Protestant and then as a Catholic and some of my closest friends are Jewish so, if there is a God and a heaven, I hope that this will all count for something if I find myself standing before the pearly gates. However, I am convinced that this universe is all there is and that this life is all I have, so I would describe myself as a humanist. As a young child, I was first baptised in the Church of England, my British father’s denomination. When my parents split up, my mother – who was Italian – had me baptised in the Church of Rome and educated in Catholic primary and secondary schools. In my teens, I obtained a Distinction + in my School Religious Certificate examination and I obtained an ‘O’ Level GCE in Scripture, so I am certainly familiar with the Bible (or at least the New Testament). However, for many years, I could not understand the ‘double think’ of Christianity: How could God be perfectly just but also perfectly merciful? How could God know everything, yet man have free will? How could a virgin give birth? How could Jesus be both God and man? How could a man rise from the dead? How could bread and wine be the body and blood of Christ? How could the Pope be infallible? None of this made sense to me. Also I had real problems with the church’s teaching on birth control and euthanasia. In 1971, I read a book "Humanism" by H.J. Blackham (then Director of the British Humanist Association) – which really crystallised my thoughts and, for the next 40 years, I have never doubted my belief in the humanist tradition. In some ways, I am also something of a stoic and another work which influenced me deeply at that time was “Meditations” by the Roman Emperor Marcus Aurelius which remains one of my favourite books. While I have deep respect for those who hold religious views (especially when this leads to moral behaviour), I am profoundly sceptical of all metaphysical and paranormal concepts and ideas such as God, the Devil, angels, ghosts, spirits, Heaven, Hell, grace, sin. Equally I am intellectually opposed to all non-rational modes of thought and therefore reject the validity of astrology, fen shui, horoscopes, prophecies, numerology, faith healing, miracles and homeopathy. Instead I believe in reason and I believe in evidence and I am deeply skeptical of anything contrary to reason or lacking in evidence. I believe that belief should be proportioned to credible evidence and demonstrable causality especially where counter-intuitive notions are concerned. For many people, the idea of a world without a God or a life that ends is terribly disturbing. However, I have found such ideas immensely liberating and empowering. It means that I am responsible for my own life and that this lifetime is the one, the only one, that counts. Also it is the only approach that enables me to make sense of the world with its wars and famines, its injustice and inequalities. For me, the only purpose of life is a life of purpose – but the purpose that I give it. 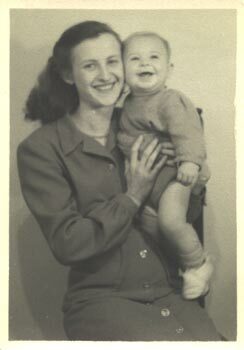 I was brought up in an apolitical household – my father (who was a life-long Conservative) did not live with us and my mother (an Italian who lived under Mussolini) had no knowledge of politics and even less interest. However, as a working class boy who was the first member of the family to go to university, I was very conscious that all my opportunities for advancement came from the Welfare State that was the political consensus in the Britain of the 1950s and 1960s. At school, I had free uniform and free meals and, at university, my fees were paid for me and I received the maximum grant which enabled me to study full-time. I was 16 when Harold Wilson led the Labour Party back into power after 13 years in the political wilderness and Labour remained in power while I was doing my degree. It was at university – the University of Manchester Institute of Science & Technology – that I became politicised. I won the Freshers’ Debating Competition and represented UMIST in the “Observer” Mace Debating Competition, so I learned to articulate my ideas, and I served full-time for a year as President of the Students’ Union, so I was actively involved in student politics at a time when Jack Straw (later British Foreign Secretary) was President of the National Union of Students (I was one of his nominees). Also this was a very political time internationally with the student riots of 1968 and the American intervention in Vietnam and Cambodia. In the circumstances, it seemed inevitable to me that I should support a political movement that represented working people, that promoted free health and education, and that stood for a more equable distribution of power and wealth in our society. However, I was never attracted to Marxist or Trotstyist politics, because I believe in a genuinely open and pluralist society and because I reject totally the determinism inherent in Communist ideology. Therefore, from the first opportunity that I had to vote, I voted Labour and, ever since then, I have never missed an opportunity to vote and I have never voted anything other than Labour. I actually joined the Labour Party [click here] in 1969 and have been a member ever since - a continuous period of four decades. Indeed, in the 1970s, politics became my life. In 1972, I won a Political Fellowship from the Joseph Rowntree Social Services Trust which enabled me to work at the House of Commons as Research Assistant to Merlyn Rees MP who was the Labour Party spokesman on Northern Ireland affairs. 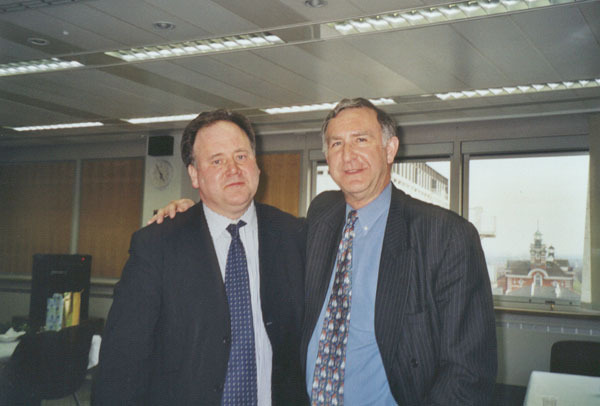 When Labour took office in 1974, I went into Government with Merlyn Rees and served him as Special Adviser in both the Northern Ireland Office (1974-1976) and the Home Office (1976-1978). At this time, politics was not just my livelihood, it was my passion. In the General Elections of February & October 1974, I was the Labour candidate in the north-east London constituency of Wanstead & Woodford, the seat that Winston Churchill represented after the war and where my opponent was the Conservative Cabinet Minister Patrick Jenkin. I was Chair of my Ward Labour Party, Vice-Chair of my Constituency Labour Party and Chair of my Euro-constituency Labour Party and I was a regular speaker at political meetings. This level of personal involvement came to an end in the early 1980s when my first marriage broke up, I became a single parent, and I subsequently remarried. However, I remained enormously interested in politics and totally committed to the Labour Party in spite of its travails in the 1980s. I was probably New Labour before Tony Blair invented the term. I was always pro-European and voted for UK membership of the then European Community in the referendum of 1975 and I support UK membership of the Euro. I worked full time for the Communication Workers Union (CWU) from June 1978 to March 2002. In the first half of 1978, I was working in the Home Office for the Labour Government led by Jim Callaghan. I was convinced that there would be a General Election in the Autumn of that year and that Labour would lose it. This would mean that I would in turn lose my job and understandably I preferred to choose myself the timing of any new employment. My commitment to Centre-Left politics was so strong that I wanted to remain in the Labour movement and therefore I looked for a post in a trade union. I was successful in becoming a Research Officer at the then Post Office Engineering Union which represented technical staff in the Post Office which, at that time, covered both telecommunications and posts (the POEU’s membership was mainly telecommunications). In the event, the General Election was postponed until May 1979, but Labour did indeed lose and remained out of power for the next 18 years. In 1985, the POEU merged with the Civil & Public Services Association (Posts & Telecoms) Group to become the National Communications Union. 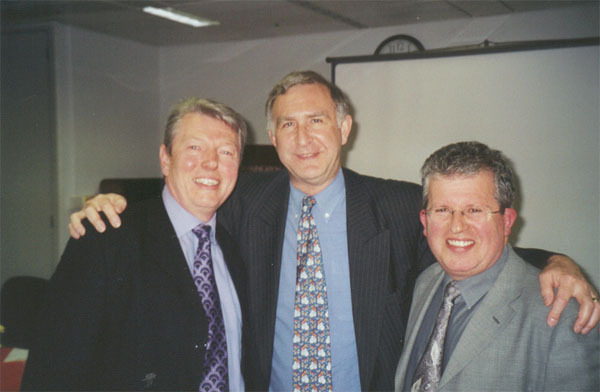 Then, in 1995, the NCU merged with the Union of Communication Workers – a mainly postal union – to become the Communication Workers Union [click here]. So I eventually worked for the POEU/NCU/CWU for a total of 24 years. In that time, I had had five major ‘postings’: Research Officer in the Research Department, occupational officer responsible for support grades and safety issues, occupational officer responsible for manpower problems and safety issues, policy officer responsible for policy issues and international relations, and Head of Research in the Research Department. In March 2002, I had to take medical retirment from the CWU, but I worked on strategic issues on a part-time contract basis for the next three years. I worked part time for the Internet Watch Foundation (IWF) from January 2000 to December 2005. In the Autumn of 1999, I had been Head of Research at the CWU for five years and was feeling the need for a new challenge. My wife Vee and I went for a short holiday in Egypt and had a couple of days at home before returning to work. Maybe this gave us more time to devote to the newspapers, but it was Vee who saw the advertisement in the “Guardian” for the newly-created post of independent Chair of the Internet Watch Foundation [click here]. She passed it to me with the confident words: “You could do this”. The advertisement was simply three lines and all the information was on-line. There was no application form, but instead one was invited to submit a case on-line. I was short-listed and interviewed by a panel of three, before being selected. I started my three-year contract in January 2000 on the basis of working for the IWF approximately four days a month. Subsequently I was offered a new three-year contract, so that I served until December 2005 - a total of six years. It proved to be a more challenging - and time-consuming – responsibility than I had imagined because the issues – combating criminal content on the UK Internet while preserving civil liberties – are complex and controversial and because the development of the Internet community has required something of a reinvention of the organisation. But I enjoyed it enormously. It made use of my interest in communications technology and it was a really worthwhile cause, being essentially about the removal of child abuse images and the protection of children on-line. My years full-time at the communications union POEU/NCU/CWU and part-time at the self-regulatory Internet body IWF encouraged me to apply to be a member of the Ofcom Consumer Panel when the Communications Act 2003 created both Ofcom and its Consumer Panel. I was appointed the Member for England and started in February 2004. Subsequently I obtained two further terms which will take me to October 2011 as a member of what is now called the Communications Consumer Panel [click here]. The CWU has postal as well as telecommunications members so I spent a lot of time as a trade union official working on strategic and regulatory issues in posts as well as telecoms. This led to me obtaining an appointment on the Council of the consumer watchdog Postwatch where I served as the Chairman of the Greater London Region for the last three years of the organisation (April 2006 to September 2008). In October 2008, Postwatch was merged with Energywatch and the National Consumer Council to create a new economy-wide consumer voice called Consumer Focus [click here]. The Board of Consumer Focus commenced in January 2008 and I was appointed a member to serve until January 2012. Subsequently two other consumer representative roles came along: Chair of the Digital Consumer Expert Group, which advises Government on issues of switchover in television and radio, and Vice-Chair of the Policy Stakeholder Committee of Nominet which manages in the .uk Internet domain name system. So now I describe myself as a portfolio worker, specialising in consumer affairs and the communications industry. I think so - although I didn't plan it this way. I am motivated in both my professional and personal life by a strong sense of fairness and social justice. I think that my working life can be seen in three segments and that, in each of them, there is a theme of me standing on the side of those with less power in relation to those with more power. For the first six years of my career, I worked for the Parliamentary Labour Party and Labour Governments, so I stood for labour in relation to capital; for the next 24 years; I was a trade union official, so I stood for workers in relation to management; and, for 12 years now, I've been a consumer representative, so I stand for the consumer in relation to the producer. In short, I support empowerment of the individual - whether as citizen, worker or consumer - in his or her dealings with the organisation. Much of the content of my web site - especially the advice in the sections on life skills [click here] - is about the development and empowerment of the individual. I have always been interested in the social implications of new technology. Indeed the first piece of research work I did for the Post Office Engineering Union (POEU) in 1978-1979 was a massive study called “The Modernisation Of Telecommunications”. 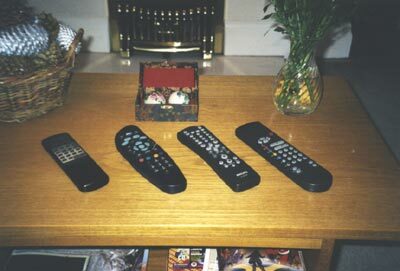 But I am not an early adopter of the technology itself and, to this day, have trouble at home with all the remote controls (although the arrival of the Sky+ PVR was a joy). Like many men in their sixties, I came late to computing - and I would probably have come even later if it hadn’t been for the fact that I was asked to become Head of Research when the Communication Workers Union (CWU) was created. This made me head of a team of young researchers, all of whom were comfortable working with PCs. Sooner or later, I was going to have to learn about computing. After six months back in the Research Department, on my 47th birthday I took possession from the union of my first computer, a lap top for use in my study at home. Six weeks later, I went on a one-day training course called “Introduction To PCs, DOS And Windows”. I confess that I didn’t make as much use of the lap top as I thought I would - I felt isolated when it came to needing help and it was too heavy to carry around London that easily. Two years later, I bought myself a 49th birthday present. My first palm top computer - a Psion 3c with 2 megabytes of memory. Some years later, I up-graded this to a Psion 5mx with 16 megabytes of memory. Having a computer with me everywhere and using it all the time really helped me to gain confidence with the notion of using a computer to plan my life and produce my work. Then, in August 1998, I had some more training – a two day course on the use of Windows and Word. 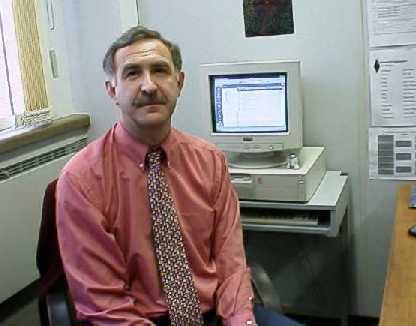 But it was October 1998 – almost four years after I became Head of Research – before I had a PC in my office at work and I remember that, on the first day, I was too busy and too scared even to switch the thing on. A week later, a proper PC instead of a lap top - together with scanner and printer - was supplied to me by the CWU to use at home. So I guess that it was only in 1999 that finally it all started to come together. I had computers at home, at work and in my pocket, so I was using them all the time; that Summer, I started my own web site; and that Autumn I was selected as Chair of the Internet Watch Foundation. For a time, I even had a web-based e-mail service, so that I could access my e-mail more–or-less anywhere in the world at anytime - something that proved really useful on a business trip to Beijing. Finally, after four years working with a CWU-supplied computer and accessing the Internet via the CWU server, in August 2002 I took the occasion of early retirement as the impetus to go totally independent and buy my own PC (a custom built machine) and to arrange my own ISP (Pipex). In November 2005, I bought a new PC - a Dell Dimension 100. Then, in October 2011, I switched from a PC to a Mac, having been so impressed by the iPod, then the iPhone and most recently the iPad - each of which I loved and bought as soon as they were available in the UK. I went for the Mac Mini which has a 2.3GHz Core i5 processor and 500GB hard drive with internal memory of 2GB. I suppose that, like most non-technical people, I first became aware of the Internet around 1995 when world-wide the number connected to the network doubled. Besides e-mail, for me the great benefit of the Internet was the World Wide Web (I've never been interested in newsgroups or chat rooms or gaming). The more I used the web, the more I thought that I should like to generate my own content on my own site. Indeed I was convinced that soon most Internet users would want to have their own site and I've been surprised at how few people have a site. So, on 2 July 1999, I started my own site with the help of my wife's nephew Martin Rowe - the first piece of content was the Darlington newsletter for Christmas 1998. In succeeding months, I taught myself Hypertext Mark-up Language (HTML) with the aid of my CWU colleague Jane Taylor and developed the site with the encouragement of my good friend Eric Lee. From the beginning, I have believed in the principle of simplicity, so the site is designed that any part of it can be reached with just a few clicks from the home page. Also I firmly believe that content is king, so I have concentrated on adding well-written material rather than decorating the place with spinning symbols. Finally I'm a great believer that the web is all about links to other sites and therefore throughout my site there are lots of links to other sites relevant to the particular topic under discussion. It is creative, encouraging me to develop my IT skills and my knowledge of the Internet, the links especially taking me to corners of the web that I might not otherwise explore. It is continuous, enabling me to work on it whenever I have time and incrementally to build up the content and develop the format. It is comprehensive, allowing me to bring together all my interests from aviation to the cinema, from technology to literature, from trade unionism to travel. It is cohesive, permitting me to bring into one place previous as well as current work, such as extracts from my book "Night Hawk", earlier book and film reviews, and of course the famous Darlington Christmas letters. I had been reading about weblogs or blogs for months before I actually met someone who was running one. At a London seminar on trade union use of the Internet, held in December 2002, I came across an enthusiastic Dutchman called Oskar van Rijswijk who had been operating a blog since October and was really keen on the idea. Subsequently we e-mailed each other regularly and Oskar really fired my interest in blogs. Indeed I was moved to write an article on blogging for the trade union Connect [for text click here]. Oskar continued to encourage me to start my own blog and offered to design one for me so, on 18 April 2003, I launched a blog called NightHawk [click here]. In many ways this blog is complementary to my web site - the former is a chronological account of my activities and thoughts, while the latter is a thematic collection of my writings and ideas. Also the two are closely integrated so that the blog frequently refers to material on the site. In January 2004, I was appointed a member of the Ofcom Consumer Panel (now called the Communications Consumer Panel), so I decided to spin off my professional interests into a second blog - called CommsWatch [click here] - devoted to communications issues with a particular emphasis on regulation and consumers. For as long as I can remember I have loved reading. I devour newspapers and magazines and I adore reading, owning, feeling, even smelling books. I think that I've always seen reading as a way of learning about the world, expanding my knowledge and challenging my ideas. I’ve kept a daily diary since 1962 when I was aged just 13, so I have a record of almost every book that I've read and a note of what I thought of it. So I know that in 1962 I read an incredible total of 81 books, 63 non-fiction and 18 fiction. Many of these concerned aviation and space. Indeed, for many years now, I have owned every book I read and frequently mark up key sentences or passages. On a recent count, I found that I have almost 1,800 books at home. As I became older, I read less and less for pleasure, first because I was a student having to skim so many different works and later because I was so active politically and out all the time. My reading reached its nadir in the 1970s when I was so politically active - in a couple of years, I only read a single book (and, both cases, they were political works). For the past decade or so, I have endeavoured to read approximately a book a month and try to mix non-fiction (frequently historical works) with fiction (usually contemporary novels). For my book reviews click here. Why do you enjoy films so much? In a very real sense, the cinema connects into the human need for story telling which must go back to when early humankind sheltered in caves or gathered round fires. Theatre, books, television all fulfil the same need. What is so wonderful about the movies is that you have a complete story in a single sitting (unlike a novel), you have brilliant camerawork, sound and special effects (unlike the theatre), and you have a huge screen and superb sound in a darkened room (unlike television). My parents separated when I was seven, but my father would see me and my younger sister most Saturday afternoons. Usually we were taken to the cinema in various places in south Manchester such as Burnage, Withington or Chorlton. It was not a happy childhood and I guess that watching entertaining films in a darkened theatre was a form of escapism for all of us. The earliest films that I can remember seeing are “Reach For The Sky” (1956) [for review click here], “Gunfight At The O.K. Corral” (1957) and “A Night To Remember” (1958) which I would have seen when I was nine or 10. At about the same time, my sister and I started going to Saturday matinee performances at the Palatine cinema on Palatine Road in Withington. Here we saw Disney cartoons, Laurel & Hardy comedies, Flash Gordon serials and westerns starring William Cody as Hoppalong Cassidy. I was 14 when I first saw “Lawrence Of Arabia” (1962) [for review click here] which remains probably my all-time favourite film. I suppose I became ‘serious’ about the cinema when I went to university. Here I joined both the student film club and the Manchester Film Theatre and, as relaxation from my studies, I would catch up on many movie classics. Once I came down to London (late 1971), I joined the National Film Theatre and went regularly until I became a parent in 1976. Central London has some superb cinemas and, as soon as he was old enough, I would take my son Richard to the movies. His first film was “Star Wars” and his first ‘grown up’ film was “Cry Freedom” [for review click here]. To this day, we regularly go to the cinema together. Today I visit my local Vue multiplex on a regular basis. Once the lights go down and the images roll, I forget all about my work, believe everything that is on the screen, and really relax. I also watch films on television and DVDs. Friends think that I see a lot of films, but I don’t really – I aim to see a film a week and I confess that, if I don’t have this ‘fix’, I really miss it. So it is not that I see a lot of films, but more that I both analyse and remember what I see. These processes are aided by the reviews that I post to both my own site and to the Internet Movie Database [click here] and by a comprehensive card index system covering the 2000+ films that I’ve seen. For my film reviews click here. Mainly classical - but also a range of modern music. I was brought up in a single-parent household where the only music was the Light Service on BBC radio. At the age of 18, I went into industry for a year between school and university and worked for an electrical engineering company then called Associated Electrical Industries (AEI), later part of the General Electric Company (GEC), in the Trafford Park industrial estate of Manchester (England). I was invited to buy a ticket for three shillings and six pence (that’s pre-decimalisation money!) to attend a so-called Industrial Concert given by the Hallé Orchestra at the Free Trade Hall in Manchester. The idea was to give working people cheap access to popular classical works as a way of introducing them to serious music. I went along and found it a scalp-tingling experience. My diary records that the main works at that first classical concert on 12 January 1967 were Eine Kleine Nachtmusik by Mozart, Symphony No 7 by Sibelius, and Symphony No 8 by Schubert. I was hooked! From then on, I went to more concerts – often conducted by the world-famous Sir John Barbarolli – and bought a record player and long-playing vinyl records at 99 (old) pence a time. It was the start of a life-long love affair. Albinoni's Adagio: This was used in the film “Gallipoli” as a tremendously sad work, but it was played on an organ at my first wedding when it was much more solemn than sad. I guess it’s one of those works which can vary in the emotions it elicits depending on the speed with which it is played and the occasion on which it is heard, but it is never less than moving. Beethoven's Seventh Symphony: The second movement – used to such haunting effect in the strange science fiction film “Zardoz” – is so majestic and moving that I would like it played at my funeral. Beethoven's Ninth Symphony: Arguably the finest piece of classical music ever written, the final movement is a magnificent synthesis of instruments and voice which has given us the anthem of the European Union. Bruch's Violin Concerto: The second movement in particular is simply heart-rending. Mahler's Fifth Symphony: Mahler is not to everyone’s taste, even among lovers of classical music. His is music on a grand scale and there are single movements in his works which last longer than an entire symphony by Mozart or Haydn. I was 18 when I read a profile of the composer in the "Sunday Times" magazine and bought a special offer four-album set and I now own all his 10 symphonies. I guess that the Fifth is my favourite. The fourth movement or Adagietto - used so evocatively in the film "Death In Venice" - is gut-wrenchingly moving. Mahler's Eighth Symphony: Known as the 'Symphony of a Thousand', this is a work on a huge scale. Mozart's Piano Concerto No 21: I've loved this work ever since in 1968 I first saw the Swedish film “Elvira Madigan” which uses the second movement as the main theme. It is simply heart-rending in its quiet beauty. Saint-Saëns' Third Symphony: The first time that I heard this work, it blew my mind. When the organ comes in during the third and final movement, it is just sensational and the finale leaves one feeling triumphant. Tchaikovsky's Sixth Symphony: Some of my earliest classical music was the Fourth, Five and Sixth Symphonies by the tortured but talented Russian. I loved them all, but the last particularly moved me because of the unconventional structure – the most exuberant movement is the third instead of the fourth – and the desperate sadness of the final movement. Tchaikovsky's Swan Lake: This is ballet music at its emotional best. I first saw the ballet in Manchester in 1967 & 1968 when, on both occasions, the role of Odette/Odile was danced by the wonderful Margot Fonteyn. When she is forced to leave her lover and the main theme plays, it simply tugs at the heart strings. As well as classical music, I like a range of modern popular music from Sting and Massive Attack to Dido and Duffy and currently my favourite artists include Coldplay, Alicia Keys, Emeli Sande and Ellie Goulding. In fact, I have very catholic tastes in music, liking most of it except country & western and folk which I find sentimental and maudlin. As well as the music already described, in my youth I used to like brass band and military band music - probably as a result of the Whitsun walks in my home town of Manchester. More latterly, perhaps as a consequence of my travelling, I have come to like a lot of world music, including Spanish guitar pieces, Portguese 'fado' music, the Egyptians Natacha Atlas and Samira Said, the Lebanese Fairuz and Yasmine Hamdan, and the west African Baaba Maal, as well as modern Indian music (I have the soundtracks from "Bend It Like Beckham", "Monsoon Wedding" and "Slumdog Millionaire"), traditional Chinese music and lots of Andean music. Finally I have bought some of the best film soundtracks of recent years including "Titantic", "Chocolat", "Gladiator", "Crouching Tiger, Hidden Dragon" and "The Hours". 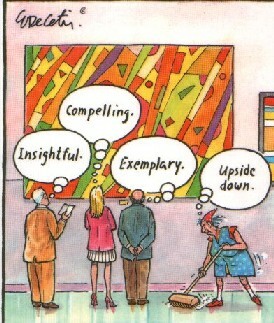 Very much so - but I'm not sure how well I appreciate it, especially the modern stuff. Except for a few visits to the Whitworth Art Gallery in Manchester, I had no real interest in art until I started to travel as a university student. First stop was Amsterdam where I discovered the Rijksmuseum (Rembrandt & Vermeer), the van Gogh Museum and the Stedelijk Museum (modern art), all really close to one another. Next stop was Vienna where I visited the Kunsthistorisches Museum (a room full of Breugels) and the Akademie D. Bildenden Künste (Hieronymous Bosch). From then on, whenever I went to a foreign city, I visited the local art gallery, whether it was the Louvre in Paris or the Academie in Venice or the Uffizi in Florence or the Metropolitan Museum in New York. Like most people, I fell in love with the Impressionists and Post-Impressionists, the best collection of which was originally housed in the Jeu de Paume in Paris but is now to be found in the Musée d'Orsay in that city. Obviously, having acquired the taste for art abroad, I could indulge it at home, since I live in London which has an abundance of galleries and collections, including ther National Gallery [click here], the Portrait Gallery, Tate Britain [click here], Tate Modern [click here], the Wallace Collection in Manchester Square, and the Courtauld Collection at Somerset House. But I've never felt that I really understand art as I should. So, in July 2002, I spent three consecutive Saturdays at the City Literary Institute in central London attending a course entitled "An Introduction To Art History". It was led by a young woman called Abigail Reynolds who is herself a modern artist and who presented the course with enormous enthusiam and fluency. However, there was very little about the history of art. Instead Abigail endeavoured to teach us something of semiotics or how to read the signs and symbols in art. Mornings were spent at the Institute and afternoons at a gallery. The most challenging work we saw and discussed was entitled "An Oak Tree" by Michael Craig-Smith (1973). This is exhibited in Tate Modern and - to you and me - looks just like a glass of water on a glass shelf! My father was a member of the Royal Air Force towards the end of the Second World War. He trained as a fighter pilot in what was then Rhodesia and Palestine, but the war ended before he could fire a shot in anger. I believe that it was his regular use of the call sign "Roger and out" that led him to the choice of my name! My father was passionate about aircraft for the rest of his life. When I was very young, he still flew at weekends and would sometimes take me to the airfields to watch him. When I was older, he would take me to air displays at places like RAF Finningley in Yorkshire. It was from these experiences that I grew to love the sight and sound of Second Word War aircraft like the Supermarine Spitfire, the Hawker Hurricane and the Avro Lancaster. When in time and in turn I became a parent, I would take my son Richard to air displays at North Weald and Duxford and thrill to the performances of aircraft like the North American Mustang and the Boeing Flying Fortress. This interest stood me in good stead when I met and married one of the daughters of the Czech night intruder ace Karel Kuttelwascher and researched and wrote his biography. All 18 of his 'kills' were achieved flying a Hurricane. It took me three years to produce the book "Night Hawk" [click here]. While researching this biography, I came across a photograph of an aircraft called “The Darlington Spitfire”. So I researched the record of this aircraft and wrote an extensive monograph on it [click here]. I still love going to air displays. In May 1998, I went to a special display at Duxford commemorating the 60th anniversay of the coming into service of the Spitfire and thrilled to the sight of no less than 16 in the air at one time. In July 2002, I was back at Duxford for a display that concluded with a mass fly past of 32 Second World War aircraft - stirring stuff! I was 20 years old and just becoming really interested on politics when in August 1968 the Warsaw Pact forces invaded Czechoslovakia to crush the Prague Spring initiated by the liberal Communist Alexander Dubček. However, my personal engagement with the Czechs was not triggered until over two decades later when, in the early 1980s, I met and married my second wife Vee whose father was Czech. In fact, Vee's father was a very special Czech - the most successful fighter pilot in his country's history and the most successful night intruder pilot in the wartime Royal Air Force. I spent three years researching and writing the biography of Karel Kuttelwascher which was published in late 1985 [for more information about him click here]. It was towards the conclusion of all this research that I discovered Vee's Czech family (since her parents had divorced and her father was long dead, she had had no contact with this side of the family). This contact in turn led to an invitation to visit the family in Czechoslovakia, a daunting prospect since they spoke no English and we spoke no Czech. We decided to go to Czech evening classes in London before we went over to Czechoslvakia and found ourselves being taught by a guy called Jan Kavan who was running a human rights organisation supporting the dissidents in Czechoslovakia led by Václav Havel. So, when we made our first visit to Communist Czechoslovakia in August 1988, we smuggled material to a dissident contact and brought material out for the human rights movement. That visit proved to be the first of many - now a total of 16 - and Prague immediately became one of my favourite places [for notes on the city click here]. The 'velvet revolution' of November 1989 enabled me to assist the newly-restructured Czechoslovak trade union for postal and telecommunications workers, so that I made a number of visits to speak at conferences or lecture on schools. Over the course of these visits, we made contact with a total of 24 relatives of Vee's - most of them living in Havlíčkův Brod or Žďár nad Sázavou - and made many close friends, most notably Pavel Horváth (now sadly dead [for tribute click here]) and his family Tamara, Vojta, Káča and Martin. Meanwhile Jan Kavan, who returned to Czechoslovakia as soon as the revolution got under way, became an MP and then a Senator before becoming the Czech Republic's Foreign Secretary and then President of the United Nations' General Assembly. My love of the Czechs has been acknowledged by others in two special ways. First, in 2000, I gave a speech at the Czech Embassy in London to commemorate the 50th anniversary of the Battle of Britain and the contribution of Czechoslovak pilots to the wartime RAF [for text click here]. 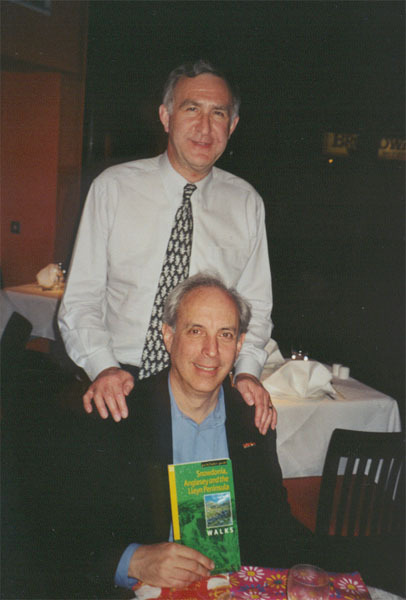 Then, in 2002, I was interviewed by Zuzanna Slobodová for a book she was writing about British people with a special connection with the Czechs. Brent where the ethnic minority population is 54.7%, making it the second blackest borough in Britain (after Newham). I delight in this diversity. Better still though to visit other countries and to experience first hand the different cultures, different foods, different languages. My father was English and my mother was Italian; my second wife's father was Czech and her mother was Welsh; and our son did his degree in international relations. So I guess that an interest in other countries comes naturally. However, for the first 18 years of my life, I only went abroad twice - once when I was four and once when I was 14, on both occasions travelling by train to Naples in Italy with my mother to visit her relatives. However, when I was 18, I went on a tour of eastern Canada with the W.H. Rhodes Educational Trust and this sparked off a lifelong interest in travel. All my holidays have been taken abroad and my work used to take me overseas regularly so that, over a period of time, I have been able to visit most of the countries of Europe. In 1999, my holidays became more adventurous and I ventured to Egypt [click here], China [click here] and South America [click here]. So now I have managed to visit a total of 45 countries. In the course of all this travel, I have flown more than 460 times and clocked up over 800 hours flying time in my flight log. "I've seen things you people wouldn't believe. Attack ships on fire off the shoulder of Orion. I watched c-beams glitter in the dark near Tanhauser Gate. All those moments will be lost in time like tears in rain. Time to die." I'm not ready to die, but I do feel that I've been exceptionally fortunate in seeing some wonderful sights around the planet including Grand Canyon and Niagara Falls in North America, Macchu Pichu and Iguazzu Falls in South America, the Terracotta Warriors and the Great Wall in China, and the pyramids of Giza and the temples of Kyoto. So much to see, so little time to see it. Meanwhile I've made many wonderful friends around the world who I keep in touch with mainly by e-mail. I have always had a sweet tooth and love cakes, desserts and puddings. In fact, I don't feel that a meal is complete unless I finish it with something sweet. Friends and colleagues know my weakness - at the CWU I was dubbed "Head of Cakes", my friends Nigel & Vicki once bought me a pudding calendar, and a retirement gift from my officerial colleagues was the 224-page book "Gordon Ramsay's Just Desserts" (thanks, guys!). One of my friends, David Souter, usually meets me for lunch at the Commonwealth Club in central London where the menu actually begins with desserts! What sort of puddings do I like? How long have you got? We usually have home-made rice pudding - which I adore - for Sunday dinner. But I also love chocolate pudding, treacle pudding, summer pudding, Christmas pudding - any pudding really! And other desserts? Well, anything with ice cream and ice cream with anything is fine by me. Banana split is wonderful because banana is my favourite fruit and this dish comes with three flavours of ice cream. Profiteroles are gorgeous too because anything with chocolate is just to die for. A great favourite is banoffee pie which may be a mystery to non-British readers. It is a combination of banana and toffee - hence the name - on a biscuit base and it's just delicious. Pecan pie is another favourite. Treacle tart, bakewell tart and almond tart are all delicious too. Then there's crème caramel and crème brulée (yum, yum!). Somebody once told me that 'desserts' is 'stressed' backwards! 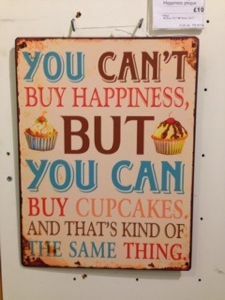 And cakes? I love Chorley cake and Eccles cake - both currant based - from the north of England, florentine cake and panetonne cake from Italy, Battenburg cake and Stollen cake from Germany, Sachertorte from Austria, and mazanec cake from the Czech Republic. Sign in a local branch of "John Lewis"
Sure - everyone should have heroes and, in the words of the M People song, you should: "Look for the hero inside yourself". However, I believe that all heroes are fallible and flawed and indeed, in some cases, the very reason I admire an individual is because of his vulnerabilities or failings. I'm half Italian (on my mother's side) and my first two heroes are Italians from centuries ago. First there was Marco Polo (1254-1324) who travelled the Silk Route to China, covering a total of 5,600 miles from his home in Venice. He was a man of great vision who was willing to understand and embrace another culture. As a lover of travel who has recently been to China, I think that it would have been magical to accompany him to the East at a time when almost no Westerners had ever ventured there. What courage, what fortitude. Leonardo da Vinci (1452-1519) was the true Renaissance man. He lived at a time when it was possible for an educated man to know more or less all that was known in the civilised world and to make a innovative contribution to both arts and science. Anyone who can paint the "Mona Lisa", sketch the "Madonna And Child" and devise plans for flying machines and a submarine has to be extraordinary. Moving to the last century, polar explorer Ernest Shackleton (1874-1922) was a very British hero. His 1914 expedition - an attempt to be the first to walk from one side of Antartica to the other - was a total failure, but his response was nothing less than heroism on a gigantic, almost superhuman, scale. His ship, the "Endurance" never reached the continent, becoming trapped in ice for 11 months. When the ship broke up, Shackleton’s crew of 28 spent five months surviving on floating icebergs before landing on Elephant Island. From here, Shackleton and five others used a 22 foot boat to travel an unbelievable 800 miles across one of the roughest seas in the world to the island of South Georgia, where he and two others then made a forced march across the mountains and glaciers to the other side and safety. All the crew members were eventually rescued alive. My next two heroes come from the First World War. 'Mick' Mannock (1887-1918) was a fighter ace with the Royal Flying Corps and one of the first practitioners of this new, deadly form of warfare. I was originally drawn to him because, before the war, he was a telephone engineer and, at the time, I worked for the trade union of telephone engineers. But, as I read biographies about him, I was struck by his sensitive leadership and obvious vulnerabilities. This was a flying ace who felt fear and shed tears. Yet he shot down at least 73 enemy aircraft – more than any other pilot on either side - and, when he was killed in action, he was posthumously awarded the Victoria Cross. Like me, he kept a diary. Like me, he had serious problems with vision in one eye. T E Lawrence (1888-1935) who led the Arab Revolt is a very well-known figure but an incredibly enigmatic character. To cross the Nefud Desert and attack Akaba from the rear and to beat General Allenby to Damascus was almost miraculous. Lawrence had a wonderful affinity with the Arabs and supported their cause almost to the point of treason, yet he was a man riven with self doubt and even self loathing. I have read several biographies and seen the David Lean film many times [for review click here]. The Second World War offers two more heroes, both fighter pilots. Karel Kuttelwascher (1916-1959) was my father-in-law, although he died many years before I met and married one of his daughters. In spite of the German-sounding surname, he was a Czech who was the scourge of Luftwaffe bombers in the night skies of 1942. Flying alone in a Hawker Hurricane IIC, he shot down 15 German aircraft in the space of just three months and won the Distinguished Flying Cross twice in 42 days. For three years, I researched and wrote his biography which was subsequently published in both English and Czech [for details click here]. Douglas Bader (1910-1982) was another RAF fighter ace - officialy credited with 23 victories - but quintessentially British. His arrogance led to a pre-war flying accident in which he lost both legs. Yet unbelievably he became leader of the Spitfire 'big wings' in the Battle of Britain and, when later he was shot down and captured by the Germans, escaped from the prison camp. His story was told in Paul Brickhill's biography "Reach For The Sky" and, as a youngster, I read the book and saw the film - starring Kenneth More - many times [for review click here ]. One more pilot occurs in my role of honour. Chuck Yeager was also a fighter ace, flying Mustangs with the United States Army Air Force when he became a double ace with 11 'kills'. But my admiration for him relates to his bravery as a test pilot. This is the man who first flew faster than the speed of sound in 1947. He managed the feat in the Bell X-1 which he named "Glamorous Glennis" (after his wife) and which I have seen many times hanging from the ceiling of the National Air & Space Museum in Washington [for an account of the breaking of the sound barrier click here]. This is the conqueror of the X-1A after a fall of 51,000 feet. the burnt and battered survivor of a bale out from an F-104, and the veteran of 127 missions flown over Vietnam. Part of his story was told in Tom Wolfe’s wonderful book “The Right Stuff” and, in the film of the same name [for review click here], Yeager was played by Sam Shepard. The full account can be found in the engaging biography which Yeager wrote with Leo Janos. I am a great cinema fan and my next two heroes are both actors who have lasted years and played very different roles. First there is Clint Eastwood who, in the sixties and seventies, was such a big movie star. I much preferred him as cowboy (the man with no name in the "Dollar" trilogy) and cop (Harry Callahan) to comedian ("Any Which Way But Lose"), but Eastwood is also a fine director who always brings in his movies on time and within budget. When in "Dirty Harry" he breaks off from his hamburger to foil a robbery with the aid of his Magnum.45, he is the essence of coolness [for review click here]. Eastwood is still making movies after 40 years at the top and not afraid to parody himself as in "Unforgiven" and In The Line Of Fire". Then there is Meryl Streep who I regard as the finest actress of her generation. Her command of accents is legendary whether it is English in "The French Lieutenant's Woman" or Polish in "Sophie's Choice" or Danish in "Out Of Africa". It is such a shame that Hollywood cannot find more challenging parts for middle aged actresses, but fortunately Streep continues to win brilliant roles in films as varied as "The Hours" [for review click here] and "Mamma Mia!" [for review click here]. Also she commands my respect for combining her brilliant career with a strong marriage and three children. Another of my great interests is communications technology and this leads me to my next hero, Tim Berners-Lee. 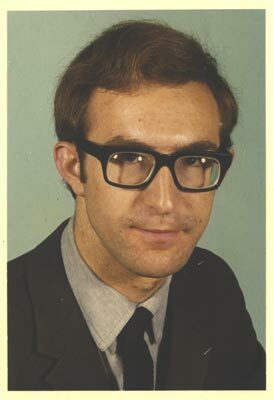 This is the British scientist who invented the World Wide Web while working at the CERN laboratories in Switzerland [for a review of his account of this click here]. It is not simply that this is an invention that has transformed our society - and is still doing so - but this man, who could have worked for any high tech company that he wanted and earned mega bucks in the process, chose to eschew the commercial world and instead work for the continued development of his creation through the World Wide Web Consortium. Another my passions is politics. I know that it is fashionable to be cynical about politicians but, without them, we would have dictatorships. Neil Kinnock was the British Labour Party leader who brought the party back from the brink of oblivion by sheer guts and determination. He made the Labour Party electable and deserved to have won the General Election of 1992 when the Conservatives clung on for a fourth consecutive term. He is one of the most decent and honourable men in British politics and a wonderfully charismatic speaker. But it was Tony Blair who took over the leadership of the Labour Party after Neil Kinnock and John Smith, who rewrote the infamous Clause Four, and who led the party to victory in 1997 and again in 2001 and 2005 with massive majorities. Although his style was sometimes too pragmatic and presidential for me, this was a man with immense leadership qualities who - notwithstanding the appalling mistake of backing the invasion of Iraq - is set eventually to be remembered as not simply a politician who won elections but an architect for social justice. His speech to the Labour Party Conference, shortly after the horrific events of 11 September 2001, was hugely ambitious and wonderfully inspirational. Last - and not least but, on the contrary, most of all - I nominate two inspiring political leaders. First, Nelson Mandela. I remember attending a massive rock concert in London's Wembley stadium to mark Mandela's 70th birthday in 1988. At that time, the best we could hope for was his early release and, the day he walked free in 1990, I played at home full blast the hymn "Nikosi Sikelel Afrika" Yet, in spite of his age, he became the first president of a free South Africa and, in spite of his suffering, he spoke the language of reconciliation and peace. He was the personification of heroism and dignity. Sadly his successors as leaders of the African National Congress failed to emulate his integrity, wisdom and compassion. Second, Barack Obama. I started blogging about him before he entered the US Senate, I blogged that he could become President when he addressed the Democratic Convention in 2004, I blogged constantly about his campaign for the Presidency, and I have read both his books: "Dreams From My Father" [for review click here] and "The Audacity Of Hope" [for review click here]. He is a 'once in a generation' world leader who arrived at the White House when the United States and the world was desperately in need of inspired leadership. The arrival of Donald Trump in the White House confirms every day how special Obama was and how much he is missed. Yes, I do - and it's very important to me. After several false starts, once I formed the habit, I found it impossible to stop, however busy and eventful my life became. My first 40-word entry - in a "Letts Schoolboys Diary" - was for Sunday 31 December 1961, as I set off for a brief stay with my grandma in Sedgley in the English Midlands. Since then, I have not missed a single day. These days, I use a W H Smith A4-to-a-day diary and typically write about 200-300 words. That means that I have kept a continous diary for more than 50 years and that I've clocked up over 20,000 daily entries. It's hard to explain why one keeps a diary. To many, the act may seem compulsive or narcissistic or even arrogant. All I know is that it gives me comfort - it seems to provide some structure and purpose to my life. If I don't think that my experience has value and interest, why should anyone else? Everyone's diary has a different style and purpose. I guess mine is a very male work - essentially it's a record of how I've spent my time and what I've done with my life, with not that much analysis, reflection or emotion (I suppose I thought that there would be time for that later). In some ways, this web site is an extension of my diary. Whereas the diary is a chronological record of what I'm doing, the web site is a thematic account of what films I'm seeing or books I'm reading or places I'm visiting plus my thoughts on subjects that matter to me, whether it be the use of the Internet or how one should live one's life. Even more so, my blogs - which came years later than this web site - are an extension of my diary. I now have both a personal blog NightHawk [click here] and a professional one CommsWatch [click here], both of which feature heavily things that I'm doing and thinking and both of which are up-dated virtually every day. Of all the questions put to me, this one - from CWU colleague Wendy Wooldridge - has to be the most challenging. The short answer is: Fundamentally - yes. Life is full and rich. Edith Piaf was able to sing "Je ne regret rien", but I confess that I have many regrets about my life - too personal and painful to record here. But that's in the past. For me, the glass is always half full, not half empty. Also one of my favourite sayings is: "It's never over till it's over - and then it isn't over" - so I never give up striving for what I think is right. My philosophy of life - set out in the heading to my web page on 'Thought For The Week' [click here] and reflected in each week's thought - is positive, optimistic, and forward-looking. For my suggestions on "How To Be Happy" click here. I don't think I could - but my friend Georgeanne Lamont, with whom I used to collaborate in Lamont Associates, once described me in writing as a "polymath". I was actually unfamiliar with the word and at first I thought that it had something to do with an ability in mathematics! Then I looked it up in a dictionary where it was defined as "a person of great and varied learning". This is too grand a description of me but, if you substituted the word "interests" for "learning", that would capture a lot of who I am and what I do - as perhaps this FAQ reveals. So I guess a better word is "philomath" which is defined as "a lover of learning" or "a seeker of knowledge and facts".